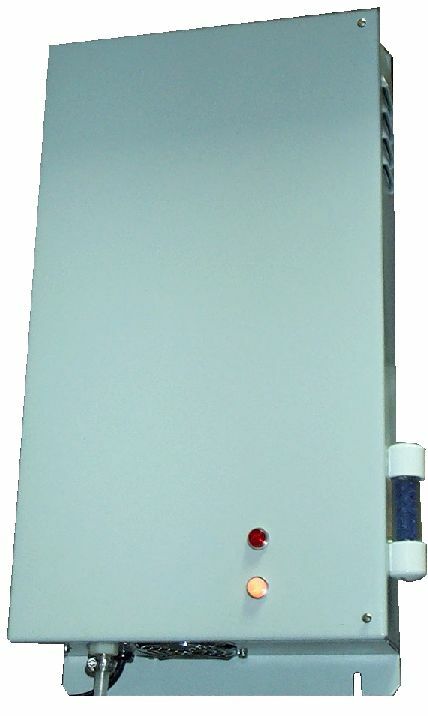 The S 1000 series ozone generator has a built in self regenerating air drier, humidity indicator and produces 1 g/hr of ozone. It is available with options such as, 120 or 240 volt operation, 10 position switch, and requires no cleaning. 546mm high x 266mm wide x 115mm deep (21.5"x 10.5"x 4.5") powder coated NEMA style steel cabinet with holes for wall mounting.